There is something doomed and noble about rescuing pretty songs from the dust bin of history, like Hoagy Carmichael’s “Blue Orchids” (13 weeks on Your Hit Parade in 1939). But you have to be in the right mood to get with musical antiquarians like Jeff Barnhart. 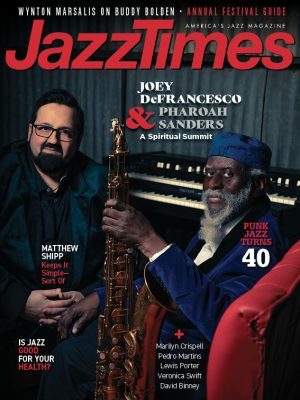 In your more alienated, existential modernist moments, you are never going to be able to tolerate the oom-pah bass lines of rollicking solo piano pieces like “Arbors Joys,” with their “cheery moments” (to quote the giddy liner notes). Barnhart’s art is quaint but not one-dimensional. Whereas a pianist like Ralph Sutton (a primary Barnhart influence) created single fabrics of nostalgia from sources like swing, stride and ragtime, Barnhart’s interpretations of old songs always contain contrasts. There are sudden shifts of mood and tempo (like the eight high-speed bars inserted at the end of “An Ev’ning in Caroline”), spontaneous off-shoots of complex ornamental runs and impulsive key changes. 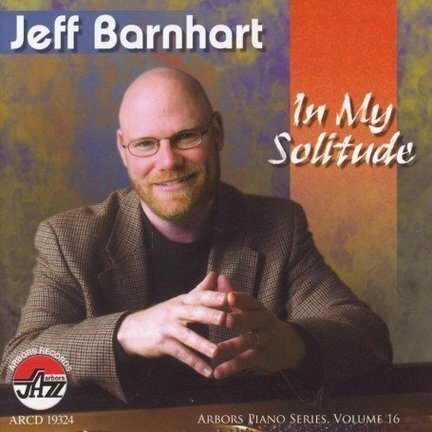 Pieces like “Cry Me a River” and “Solitude,” because they are still played today, make it easier to hear Barnhart for what he is: a pianist with facility, an ornate sense of form, a sensitive touch and a longing for “cheery moments” in a world that no longer exists.